They say bacon is the “gateway meat”. For me, it’s now become the takedown meat. To be exact, the Portland Bacon Takedown, spearheaded by Brooklyn’s Matt Timms, is coming to Portland on May 22. Matt invited me to participate after he was referred to my Hascapades blog by his friend – yay! He hooked me into the takedown with his suggestion: a bacon hash. Well, this is just to much fun to pass up, but, now I gotta get my entry figured out – stat! And voila! 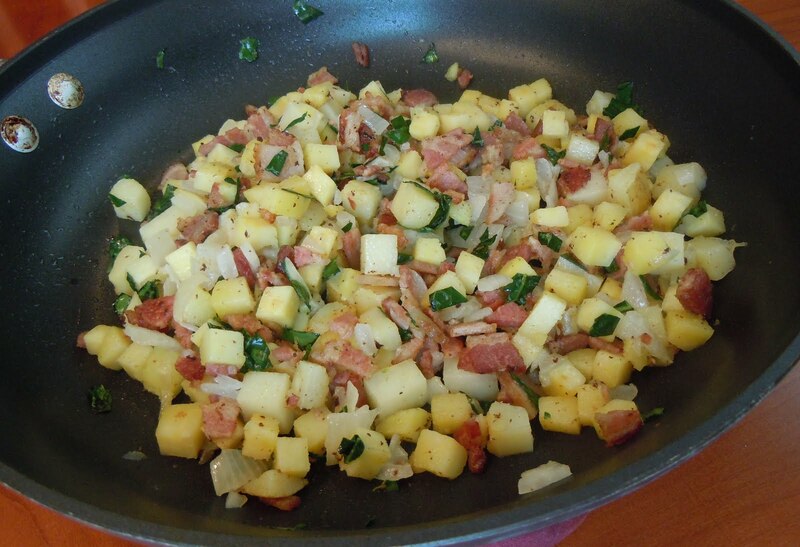 That was easy – instant Bacon Takedown Hash – with a mere scroll of the wrist. Sadly, it wasn’t really that simple, but the journey was worth it! My first step was envisioning a vessel to hold my hash. What could be better than some sort of bacon bowl or cup? After a quick Google search, I found Not Martha’s post on making bacon bowls. I was blown away by the delightful instructions and photos – structural bacon certification was within my grasp! 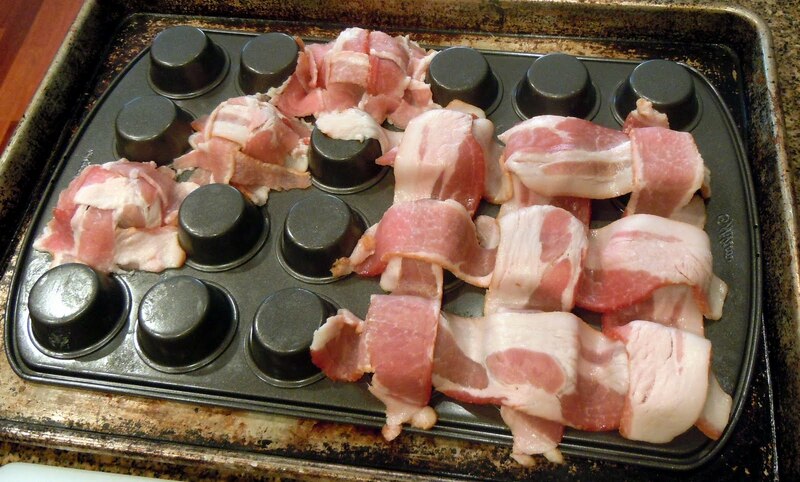 Various Bacon weaves on an upside-down mini-muffin tin. 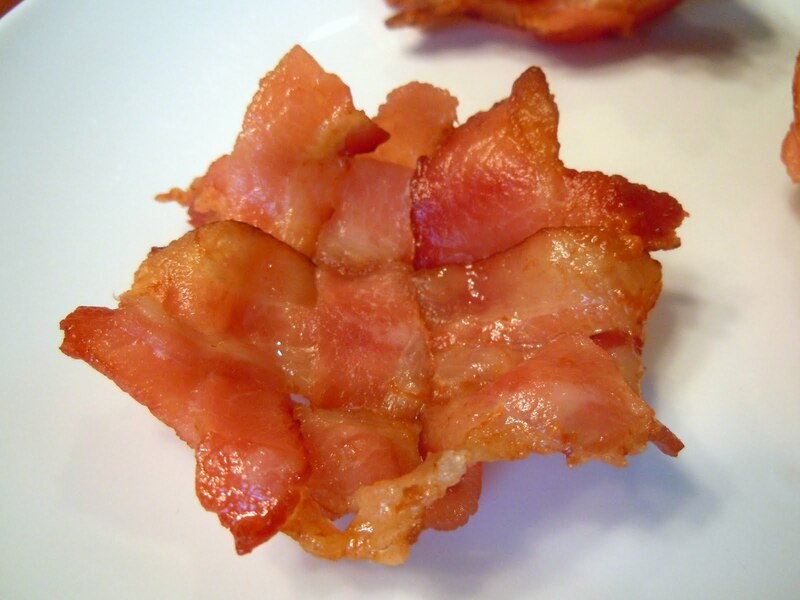 The finished prototype bacon bowl – bowl lotta love – oink! Of the many variations Cory (a.k.a. 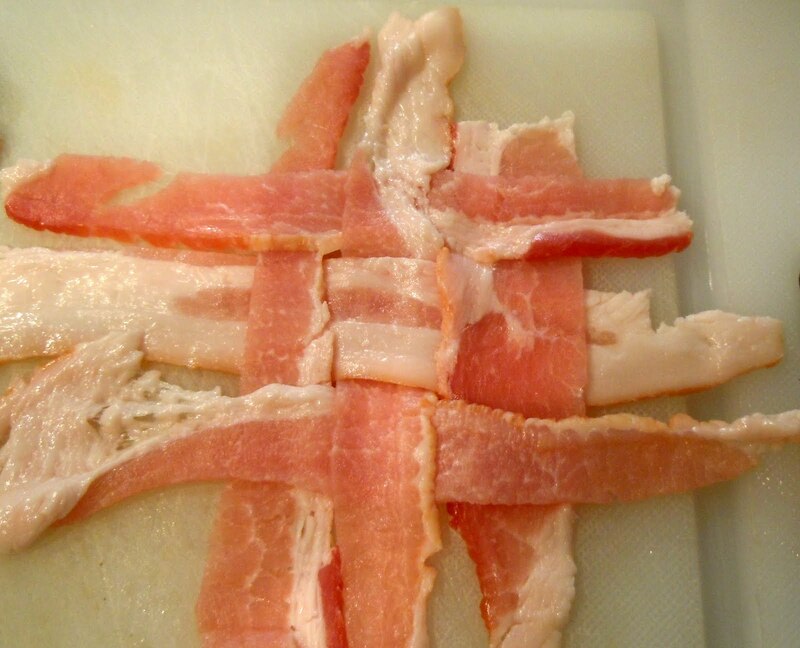 Not Michael Pollan) and I tried, the bacon halved lengthwise, cut in half and then woven like a mat (above) worked the best. Also, at 400 degrees it took nearly 25 minutes in the oven + 5 minutes under the broiler to make the bacon crisper. How in the world would I ever create 200 bacon bowls for the Bacon Takedown? That’s a bowl lotta love…whaaaooooowww! Hashing up all the main ingredients, before creme fraiche & green onion. Back to reality, I decided a simple flat bacon “mat” for the Bacon Takedown will have to suffice. There’s no shame in simplicity, especially when slathered in fig jam and Dijon mustard – yum! All I had to do was mix my bacon hash up in the pan and place a big spoon into my prototype bacon bowls. Two bites of sublime bacon, sweet potato, caramelized onion, and kale in the uber tasty bacon bowl and I was in oinktopia! It was an instantaneous takedown of my hunger, a TKO that left me dizzily satisfied all afternoon! Please pass this post along and I hope to see you at the Bacon Takedown! Thank you. I just tried this and loved it. Hey,I tried this at the Bacon Takedown and thought it was awesome! 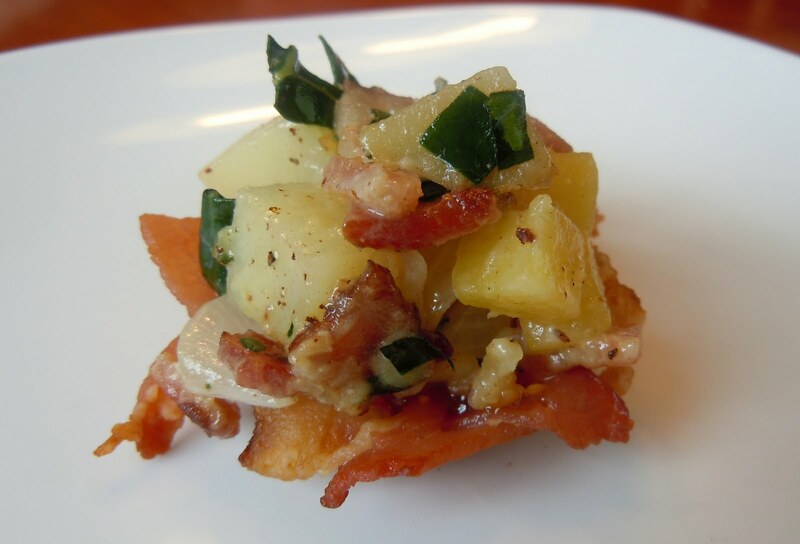 I'm going to try making your recipe for potlucks this summer, bacon bowl and all. Very impressive!Thanks!